Tired of mundane, been-there-done-that designs on feeding bibs? Munchkin's vibrant cotton bibs are anything but typical. 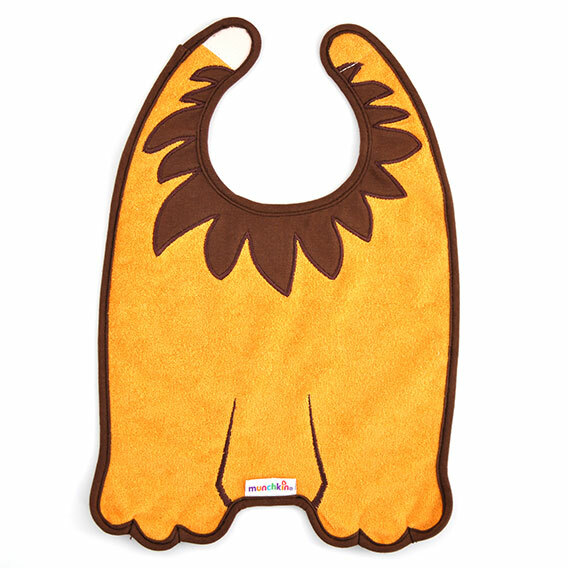 Featuring a fun lion design sure to elicit roars of laughter and delight from both you and baby, this adorable bib is soft and super-absorbent, to help keep your little drooler/messy eater stylish and spill-free.